Located along the Mississippi River off LA-30 in Baton Rouge, LA. 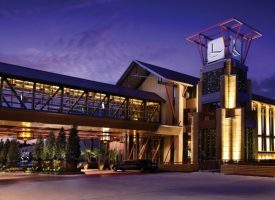 Find your slice of slot paradise at L'Auberge Baton Rouge; bustling with action, and buzzing with nearly 1,500 of the latest and greatest slot machines. Pull up a chair to the most exciting tables in Baton Rouge. At L'Auberge Casino & Hotel, you can take your luck for a spin at our roulette tables, try your hand at a thrilling game of blackjack, and go all in on strategy and adrenaline with a round of Pai Gow. With more than 50 table games, you'll find your classic favorites, and make all new ones.